A group of sassy seniors are living in luxury at Singapore’s most upscale retirement home. Strong, confident and fiercely independent, they have an opinion about everything, and are not afraid to voice their thoughts. When trouble starts brewing at the home, their friendship is tested. Can they work together? Will they remain together? Should they form a K-Pop group? 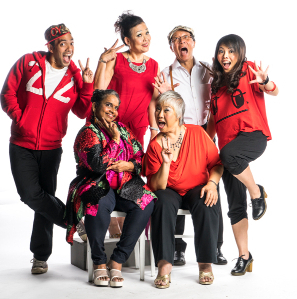 Pioneer (Girls) Generation is a no-holds-barred comedy with sharp and critical observations about ageing and everything else in Singapore. If you thought you knew all about growing old in Singapore, think again. For school, group and corporate booking offers, please call (65) 6440 8115 or email admin@necessary.org.